Greig Roselli: What does the Great Wall of China Have in Common with Supermarket Swivel Chairs at Checkout? What does the Great Wall of China Have in Common with Supermarket Swivel Chairs at Checkout? 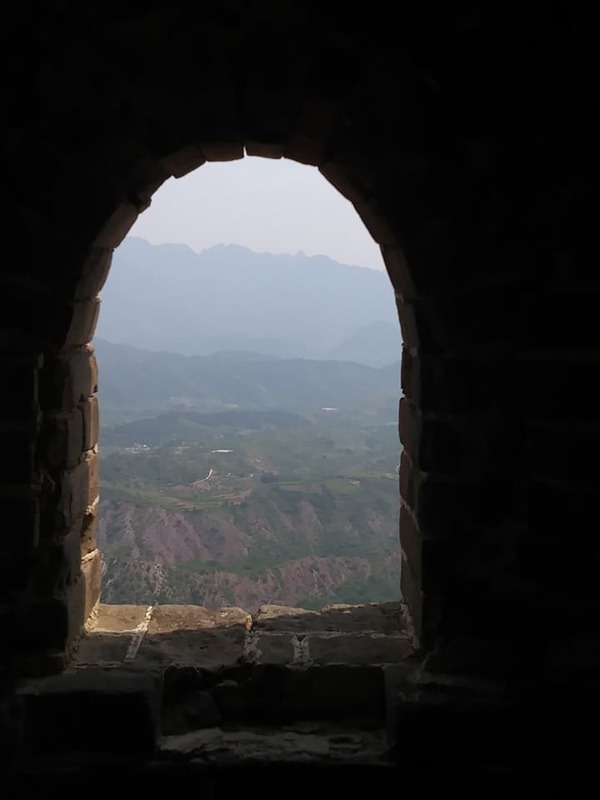 When I was sitting at this sentry gate at the Great Wall last Summer with our school group - I first thought about the many soldiers who had to man their posts at these gates. Then I thought about swivel chairs (which I will explain in a bit). The wall is dotted with guard towers like this one in the Simatai portion of the Great Wall north of Beijing. How did the soldiers get up here - what was the supply line like when they had to stand guard and maybe were hungry? How many men or women had to stand guard here? What whispers were spoken? What tragedy was befallen? I am also sad that Airbnb canceled its prize of a night at the Great Wall. It was a thing, and now it's not. I am then reminded of today's workers who have to endure jobs where you stand in one place for like eight hours. It boggles the mind that in the United States grocery store clerks have to stand at their posts. Wouldn't it be a great idea if we gave workers at our grocery stores sleek work chairs that swivel? In Belgian supermarkets, clerks use ergonomic swivel chairs.